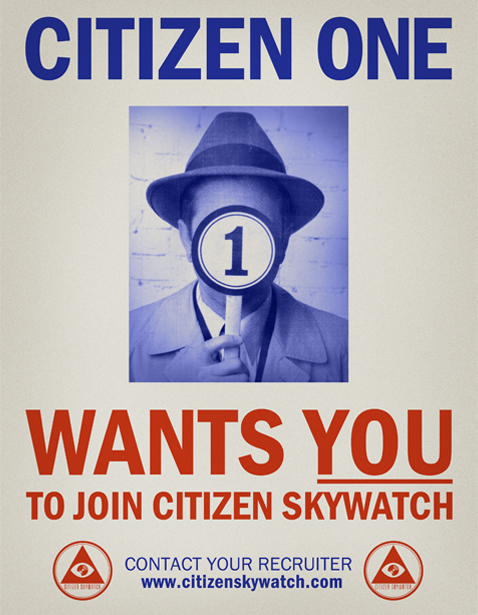 New Citizen Skywatch Info Revealed, "The Invasion Has Begun"
After a website for Citizen Skywatch was uncovered to be registered to Take Two Interactive, we speculated that it could be part of a teaser for a new IP reveal at gamescom later this week. But with little to go on, it was hard to know what was actually meant by the website. Take Two have now updated the site, teasing their next product. OUR SKIES ARE FILLED WITH THE SHADOWS OF AN ENEMY UNKNOWN: ITS ORIGIN IMPENETRABLE, ITS PURPOSE INSCRUTABLE, ITS METHODS — INCREDIBLE. THE TRUTH CANNOT BE DENIED… YET OUR DEFENDERS DENY IT. THE MENACE IS BEYOND BELIEF… YET WE MUST BELIEVE IT. ONLY THOSE BOLD ENOUGH TO FACE THE TRUTH POSSESS THE COURAGE TO TO STAND AND FIGHT. REGISTER TODAY SO THAT WE MAY REMAIN IN CONTACT AS NEW INTEL DEVELOPS. YOU ARE THE FIRST LINE IN THE HIDDEN WAR. MAINTAIN VIGILANCE AND STAND BY FOR FURTHER ORDERS. Interestingly, the timestamp on posts is August 1960, so it is clear that the game is set in that decade. For those wondering, Agent will take place in the late 1970s, so it is unlikely that it is Rockstar’s highly anticipated PS3 exclusive. This is CITIZEN NINETEEN of the Citizen Elite reporting in. I have intercepted reports from the Red Wind area in N. California. This is Citizen One speaking. The Citizen Skywatch Bulletin Board is an integral part of our communication network. We must use this space to communicate amongst each other and to relay pressing intel and share evidence. While the Citizen Skywatch Headquarters will remain our primary source of intelligence gathering and dissemination, it is here that the collective minds of Citizen Soldiers will prevail to protect our shores. Beware false evidence, impersonators, infiltrators, spies, and traitors. The path will not be easy and those against us want to obfuscate the truth wherever possible. The Citizen Elite will be here to guide and protect wherever possible, but it is up to us to keep an ever watchful eye on those who want to undermine and destroy. Maintain vigilance and stand by for future orders. This is Citizen One speaking. The invasion has begun. Our skies are not safe. It is up to Citizen Soldiers like you to save our country. With all the references to unknown enemies and invasions from the sky, it seems plausible that the game focuses on an Alien invasion, but one that mixes in espionage and counter-intelligence. Whatever it is, Citizen Skywatch definitely seems like something to keep your eye on, so stay tuned to PlayStation LifeStyle for more information as it develops.